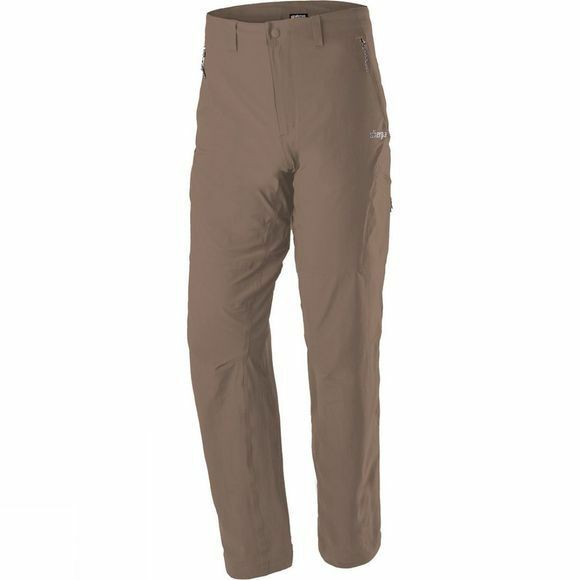 The Mens Khumbu Pant from Sherpa has a four–way stretch fabric, with its high nylon content, is tough, lightweight, quick–to–dry, easy to wash, and resistant to moth damage. The gusseted crotch and articulated knees accommodate enhanced mobility, while zipped hand, thigh, and back pockets secure your valuables. Low–profile belt loops create a bulk–free waistband that's lined in tricot for comfort while wearing a pack belt or climbing harness. Seams are set away from pressure points.